Classes KG to II, IX and XII - 16/03/2019, Classes III to V - 18/03/2019 and Classes VI to VIII - 19/03/2019. Annual Sports Day - 2nd November 2018. Came into existence on 22nd April, 2007 to meet the growing need of a good co-educational English Medium School keeping high standards in Ranchi. 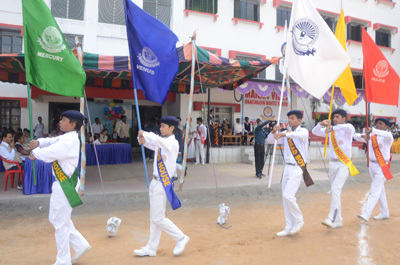 The institution follows “Central Board of Secondary Education (CBSE)” curriculum. It imparts structured and purposeful education to the young children. It is a foundation school for many coveted professions and careers.